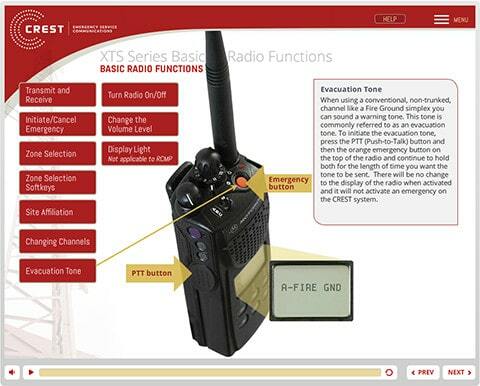 Capital Region Emergency Services Telecommunications – Radio Training and Learning Management System | PathWise Solutions Inc. Emergency service workers in the Greater Victoria Region all use the services provided by Capital Region Emergency Services Telecommunications. 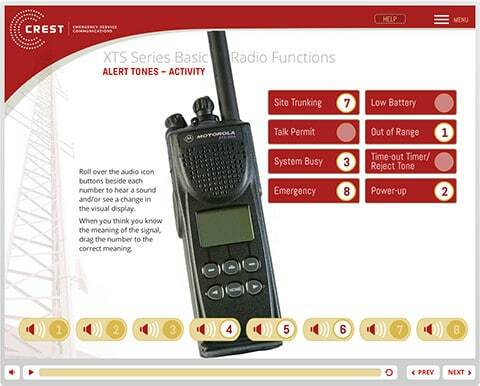 They rely heavily on the use of various mobile and portable radios and must be thoroughly trained in their use. 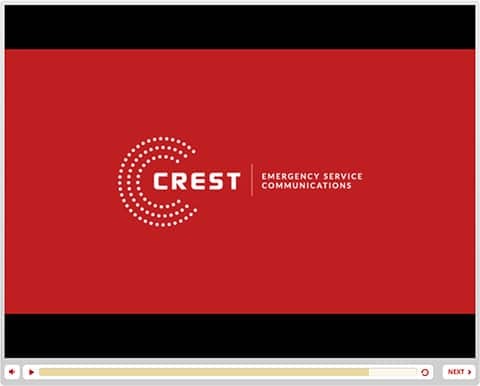 CREST decided to provide online training for users of their system to promote effective use of the radios. A survey was sent out to emergency service workers throughout the region asking for feedback on the best approaches for course delivery. 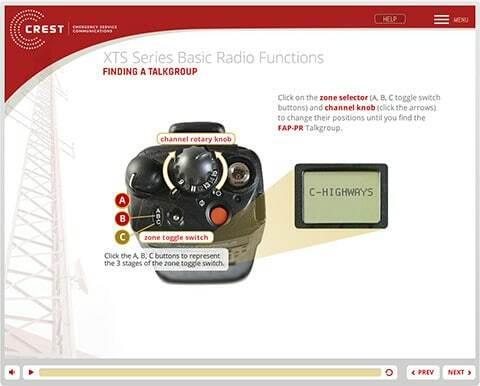 Interviews with technical support staff and trainers for the radios were carried out to determine typical use cases and issues. Storyboards including interactions, imagery and narration scripts were written and approved. 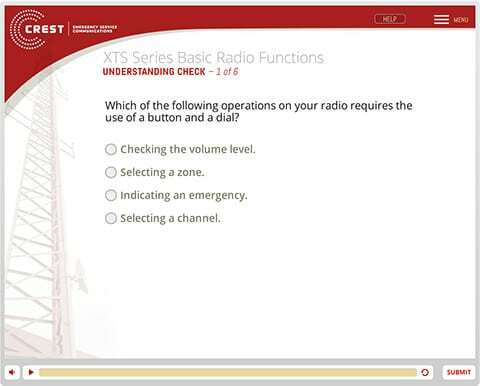 Two 30-minute courses created using narrated simulations of the radio hardware, simulation of the resolution of various reception issues, all using interactive activities. Created in Articulate with simulations created using Flash. A Moodle learning management system was customized to provide a user friendly way for the over 25 organizations using the courses to provide access for their members as well as tracking use statistics.